Inspired by a real Scandinavian motive - locality of BIRKA. 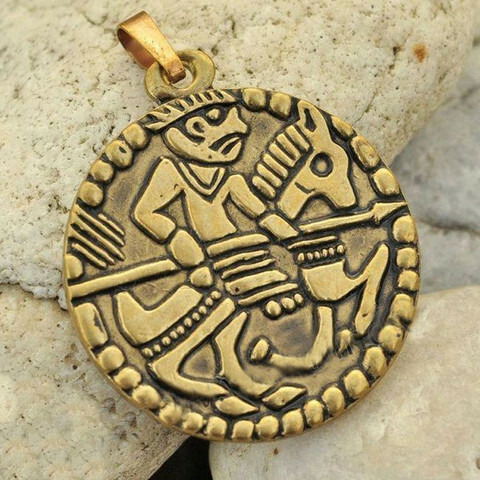 The amulet shows a rider with a spear, most probably hunting, which should bring you on the right path in life. The rider is a guardian of that path. This amulet helps you achieve your goals. Pendant has 3 cm in diameter. Material: brass.